Recently, we had the pleasure of having Wrong Fuel Assistance come down and pick up their newest purchase of the Mobile Fuel Scavenger from AutoDrain head quarters, here in Leeds. 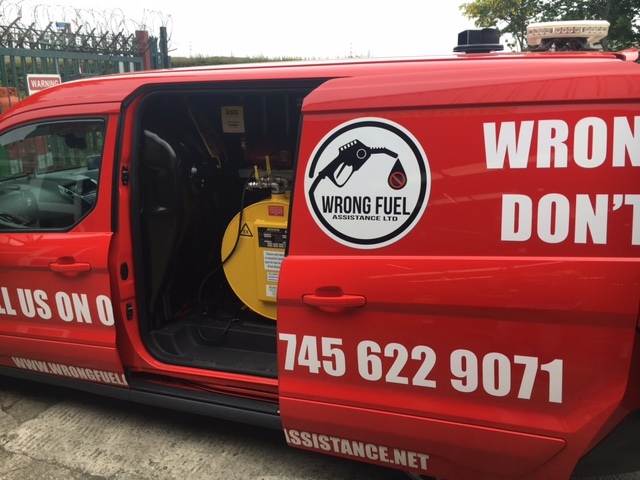 We are delighted that Dale, the owner of Wrong Fuel Assistance, decided to purchase the Mobile Fuel Scavenger to progress with his new business venture. We wish him the best of luck and hope that his business grows from strength to strength with the help of our equipment. Are you starting a new business or adding a misfuel service to your existing business? The Mobile Scavenger is perfect for assisting in vehicle recovery for broken down, misfuelled vehicles. With its 250 litre capacity, the Mobile Scavenger is suitable for recovering petrol, diesel and contaminated fuel from all misfuelled vehicles, whatever the make and model. The Mobile Scavengers suction pump allows for 25 litres a minute to be removed, minimising your call out time and providing you with an quick and efficient turn around enabling you to maximise the amount of call outs per day and increase your revenue from misfuels. The Mobile Fuel Scavenger can be fitted for side or rear door access, allowing an RDT to be fitted to the rear of the van if needed. Minimum installation is required and once installed the Scavenger is simple and easy to operate. 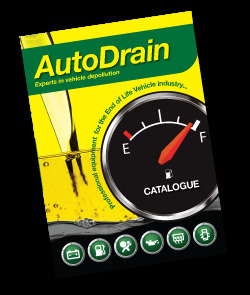 If you would like to speak to us regarding your fuel recovery requirements please call AutoDrain on 0113 205 9332 or email info@autodrain.net.